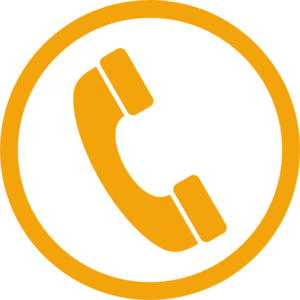 Replaces joint lubrication and improves mobility. Gelatin is, as studies in human medicine, an excellent nutritional supplement, which can replace joint lubrication. 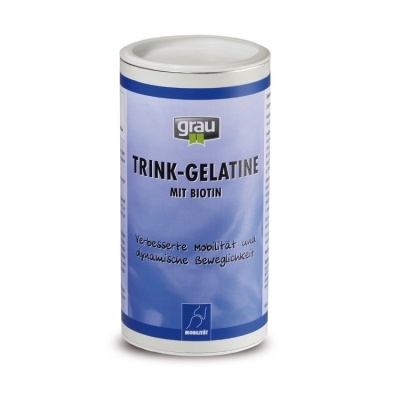 Our highly purified, tasteless-neutral gelatin powder can be dissolved in the drinking water or spread over the food. Even a small daily dose brings about a noticeable relief in the movement of the dog within approx. 3 to 4 weeks. 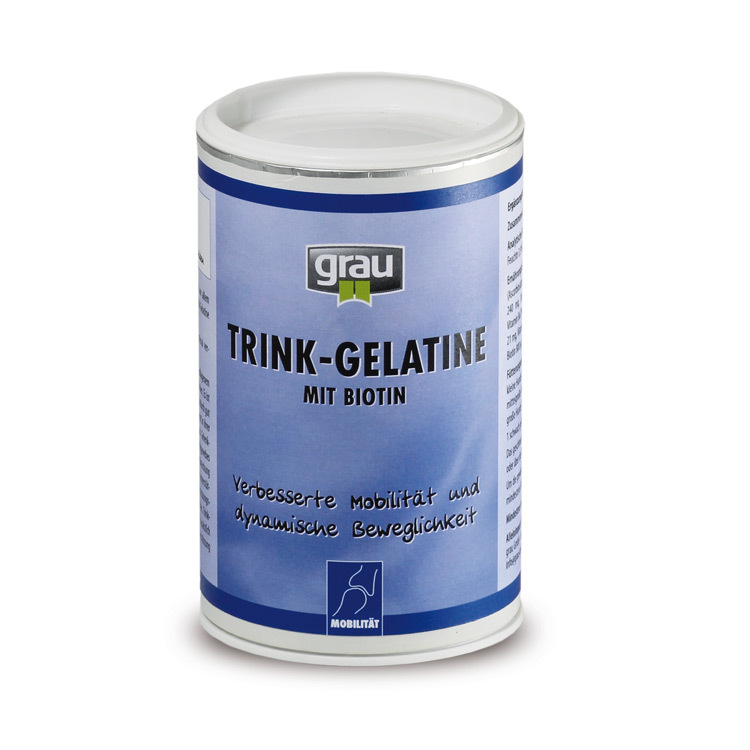 Drinking gelatine alleviates existing problems, but also supports the aging organism. Given 1 to 2 times a year, it helps prevent age-related symptoms such as stiffness of the joints and painful movement. Dissolve in drinking water or mix with food.